Pokemon, Pen, & Paper – A Table Top Roleplaying Game! 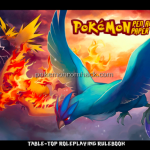 Pokemon, Pen, & Paper – A Table Top Roleplaying Game! : To play this game, we need at least three players and maximum is eight. You roll the dice out, you create your own characters with advantages and disadvantages. Pocketmans Teal : Java is a one of the most popular programming language all over the world. Nearly everything we are using was made from Java. 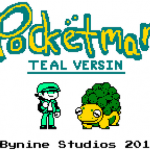 And there is the game Pocketmans Teal – its origin was Java, too. 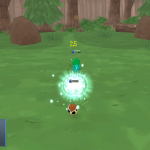 Pocket Forever Monsters – Randomized Pokemon World : A fully randomized Pokemon with unexpected things awaiting… Isn’t that idea cool? 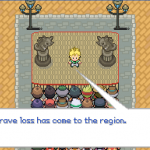 Well, you can try that with Pocket Forever Monsters – a game developed from RPG Maker XP. 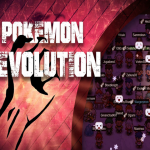 Pokemon Revolution Online : Recently, Pokemon Revolution Online – Pokémon Online Online Pokémon Online Game was officially released. 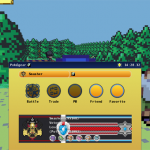 At the present time, although it is only Beta, players are able to experience a fairly complete Pokemon game.